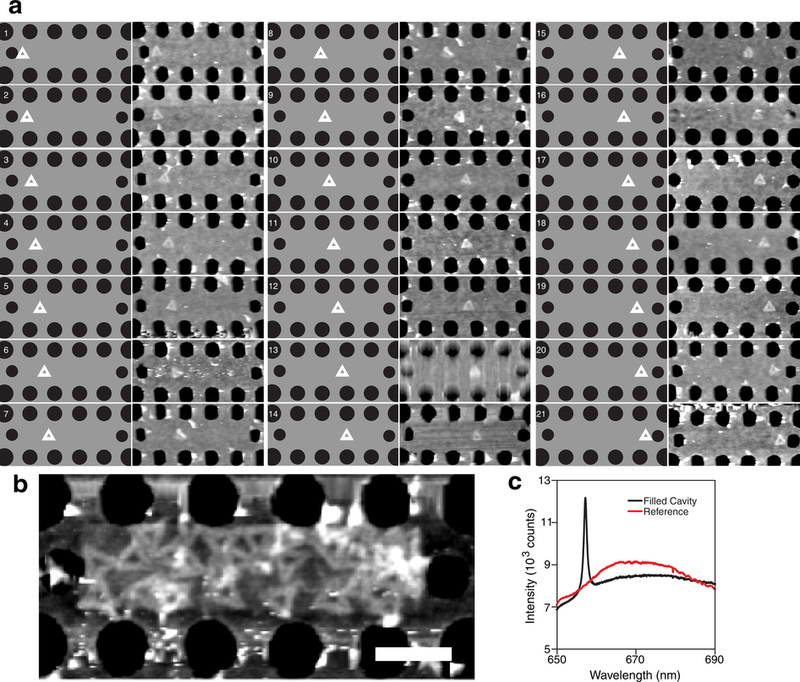 Many hybrid devices integrate functional molecular or nanoparticle components with microstructures, as exemplified by the nanophotonic devices that couple emitters to optical resonators for potential use in single-molecule detection, precision magnetometry, low threshold lasing and quantum information processing. 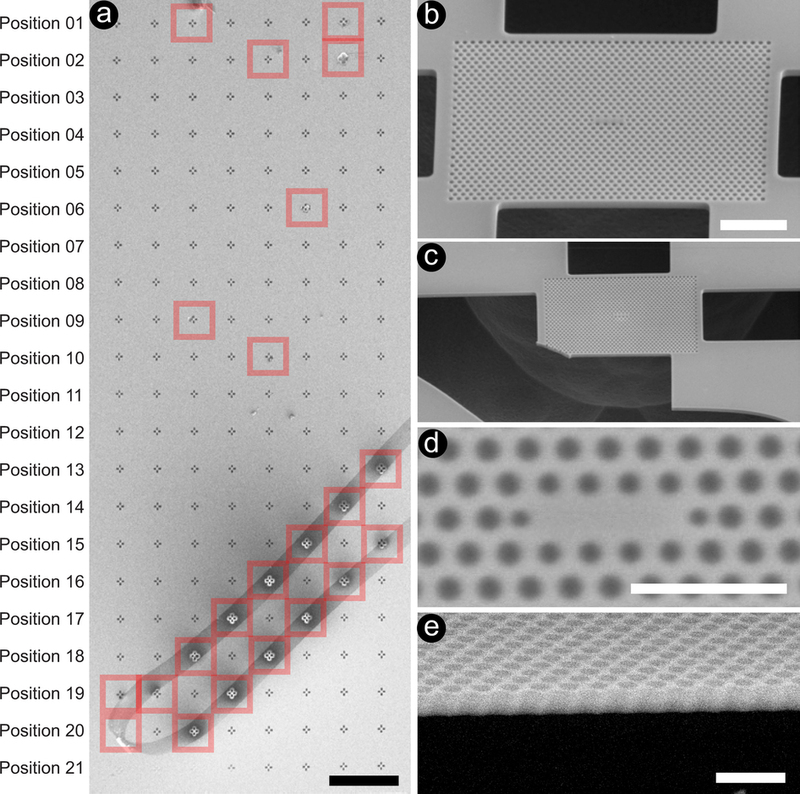 These systems also illustrate a common difficulty for hybrid devices: although many proof-of-principle devices exist, practical applications face the challenge of how to incorporate large numbers of chemically diverse functional components into microfabricated resonators at precise locations. 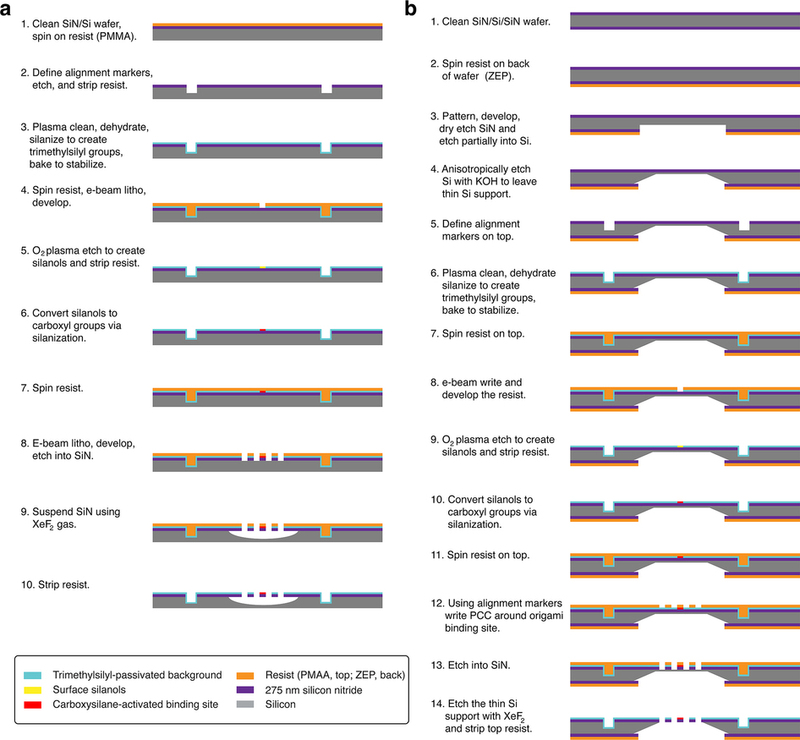 Here we show that the directed self-assembly of DNA origami onto lithographically patterned binding sites allows reliable and controllable coupling of molecular emitters to photonic crystal cavities (PCCs). 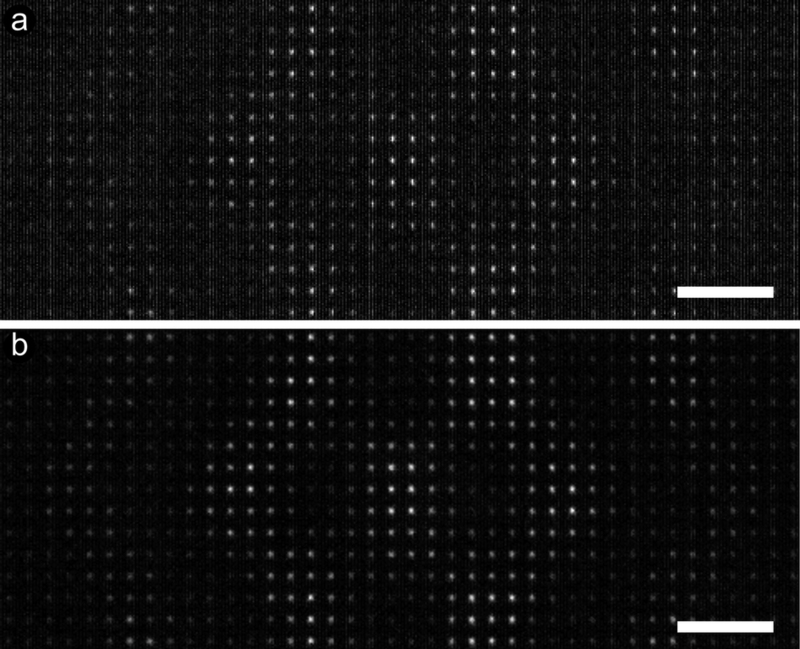 The precision of this method is sufficient to enable us to visualize the local density of states within PCCs by simple wide-field microscopy and to resolve the antinodes of the cavity mode at a resolution of about one-tenth of a wavelength. 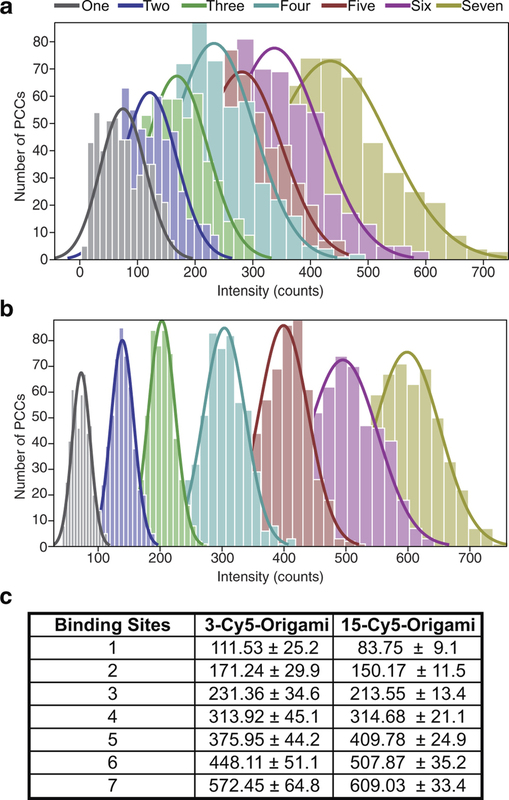 By simply changing the number of binding sites, we program the delivery of up to seven DNA origami onto distinct antinodes within a single cavity and thereby digitally vary the intensity of the cavity emission. To demonstrate the scalability of our technique, we fabricate 65,536 independently programmed PCCs on a single chip. 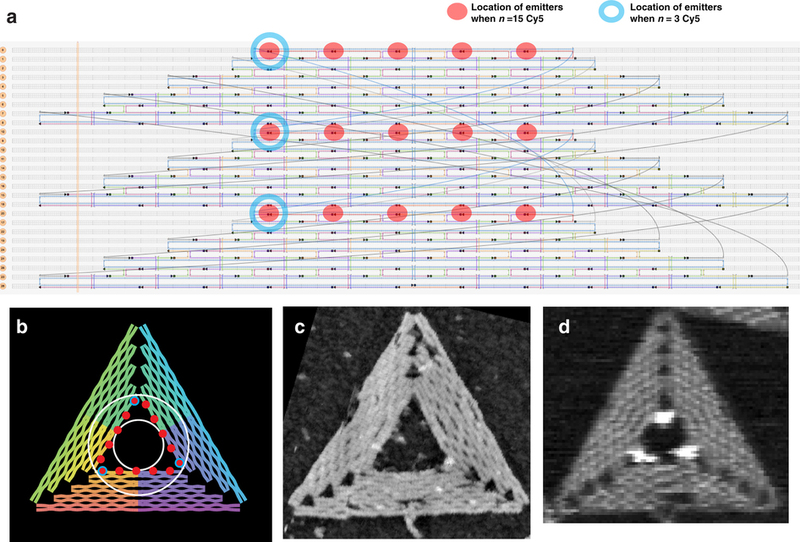 These features, in combination with the widely used modularity of DNA origami, suggest that our method is well suited for the rapid prototyping of a broad array of hybrid nanophotonic devices. © 2016 Nature Publishing Group. Received 27 October 2015. Accepted 19 April 2016. Published online 11 July 2016. We acknowledge funding from the Army Research Office (award W911NF-11-1-0117), the Office of Naval Research (award N000141410702), the Air Force Office of Scientific Research (Young Investigator award FA9550-15-1-0252), and the US National Science Foundation (Expeditions in Computing numbers 0832824 and 1317694, Molecular Programming Project; http://molecular-programming.org). We thank J. Fakonas for discussions and B. Fultz for use of his spectrometer. Device fabrication was done at Caltech’s Kavli Nanoscience Institute. Author Contributions: A.G. and P.W.K.R. conceived the project. 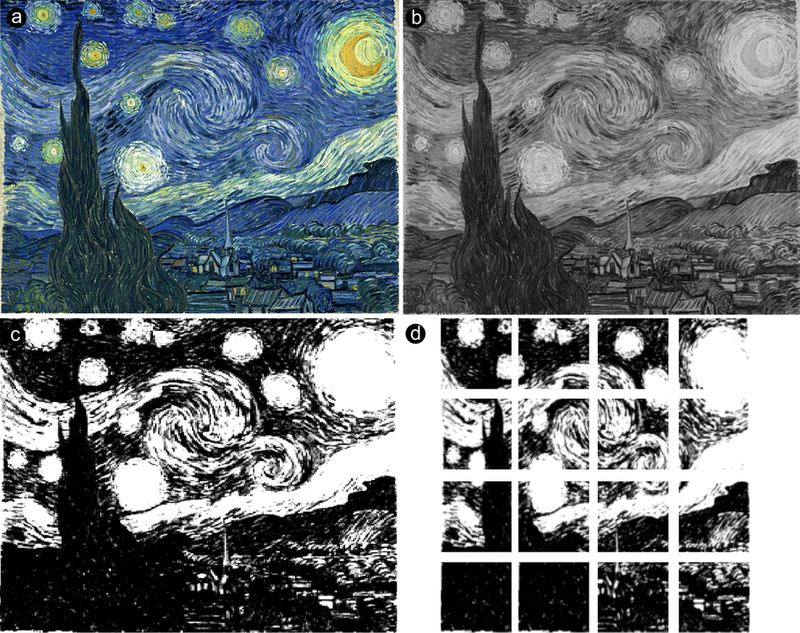 A.G. performed origami synthesis, nanofabrication, AFM, SEM and fluorescence microscopy. 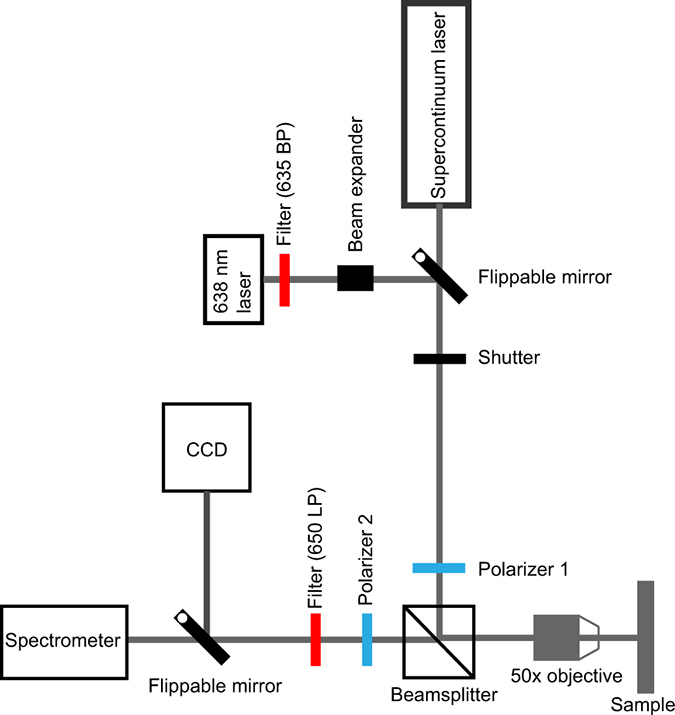 A.G. and E.M. built the set-up for microphotoluminescence spectroscopy. All authors contributed to data interpretation and manuscript preparation. The authors declare no competing financial interests. Code availability: The code used to design and simulate the PCCs as well as code to generate Autocad files for electron beam lithography defining PCCs and binding sites is available as the zip-encoded Supplementary Data file.